WALTHAM, MA – June 19, 2014 – Global payment gateway BlueSnap today announced that Magisto, a video editing app with over 35 million users, has chosen to support global sales with BlueSnap’s BuyNow hosted checkout page. BuyNow will help Magisto reach customers in over 90 countries with checkout pages that are automatically localized according to the buyer’s location. A cloud-based mobile video platform, Magisto uses patent-pending artificial intelligence to automatically edit videos in three simple steps. Magisto completes a visual, audio and storytelling analysis to add Hollywood-style suspense, emotion and excitement to home videos. Since launching to the general public in 2011, Magisto has grown to over 35 million users who have shared more than 250 million videos. In 2014, Magisto was named to the Red Herring Europe Top 100 list, which recognizes the region’s most exciting startups. Given this tremendous growth over a short period of time, Magisto needed a reliable way to sell to consumers around the world. As an Israel-based startup, Magisto needed to sell in dozens of foreign countries without the burden of managing legal and financial obligations in each country. BlueSnap was the ideal solution for overcoming ecommerce boundaries. Using BlueSnap, Magisto can support monthly subscription payments or one-time payments for users who prefer to pay per video. BlueSnap’s award-winning Smart SubscriptionsTM technology allows Magisto to accept all forms of payment on a subscription basis. Magisto can use Smart SubscriptionsTM to offer free trials, single-click purchases, promotions and more. The shopper management tools also let customers manage their plans, billing information and account history. Finally, real-time analytics allow Magisto to track conversion rates, gauge long-term subscriber income, analyze failed transactions and track the sales funnel. 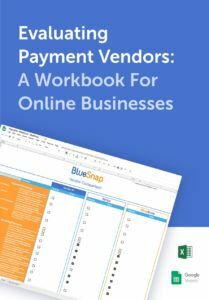 While many international payment providers can only serve a limited number of countries after an intensive setup, BlueSnap’s hosted checkout pages cover 180 countries, 29 languages, 60 currencies and 110 payment types – without any additional coding. As Magisto expands into new markets, BlueSnap will be able to support sales without any additional work. Driven by artificial intelligence and simple user experience, Magisto is a cloud-based mobile technology service for creating and sharing beautiful quality personal movies. It automatically selects the most compelling moments from ordinary videos and photos and, like an expert video editor, weaves them together to convey a story with customized styles and music. Magisto is used by millions of customers and can be accessed across iOS, Android, the Amazon App Store for Android and the Web, and is the highest-rated video creation app in the Google Play and iOS App Stores. More information is available at http://www.magisto.com/about andhttp://www.magisto.com/how-it-works. The company is funded by Horizons Ventures, Magma Venture Partner, Qualcomm Incorporated, through its venture capital arm, Qualcomm Ventures, and SanDisk Ventures. The company maintains its headquarters in Tel Aviv, Israel with offices in New York and California.